Just Try It! : Do you love this !!? 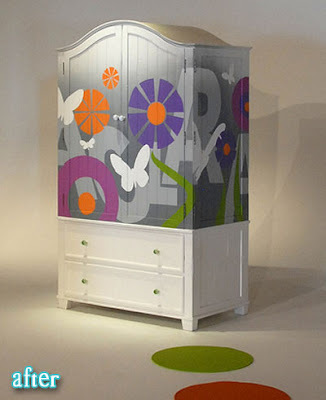 This painted armoire makes me want to go find an armoire to paint! So inspiring. I am helping my (almost) 12yr old daughter redecorate her room and this would so work for her. Maybe we'll handpaint some cuteness on her existing furniture to compliment her new bed linens.